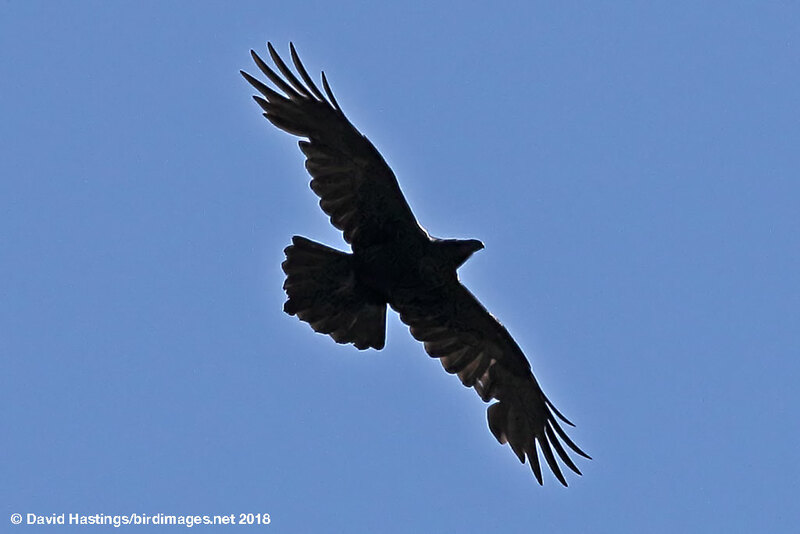 Raven (Corvus corax). Taken on Fuerteventura, Canary Islands, on March 5th 2009. Taken on Fuerteventura, Canary Islands, on March 5th 2009. Raven (Corvus corax). Taken at Gilfach Farm, Powys, on May 5th 2018. Taken at Gilfach Farm, Powys, on May 5th 2018. 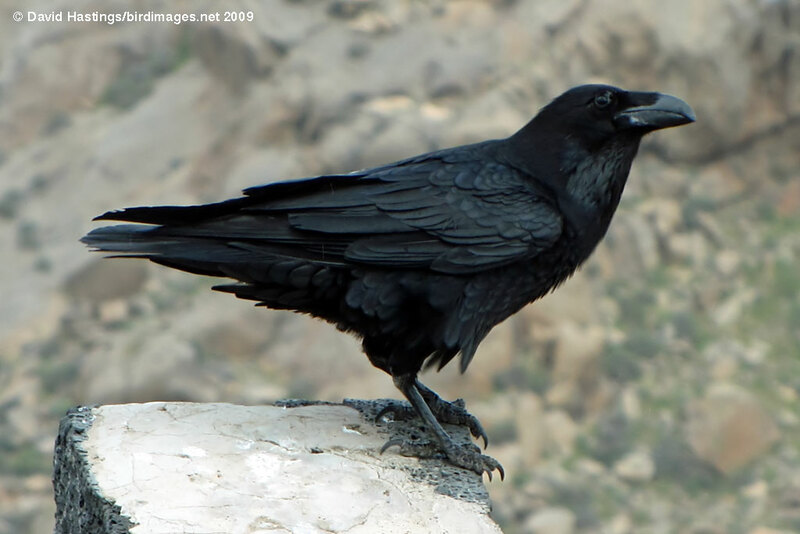 The Raven is a large all-black passerine bird in the crow family. There are eight known subspecies with little variation in appearance. Subspecies tingitanus occurs in North Africa and the Canary Islands. It is the smallest subspecies, with the shortest throat hackles and a distinctly oily plumage gloss. Its bill is short but markedly stout. Over time, its plumage fades to dark brown on the head and body. They are found mainly in the west and north of the British Isles, although they are expanding their range eastwards. Ravens breed on deserted woods, in uplands and on coastal cliffs. Young birds may travel in flocks, but later birds mate for life, with each mated pair defending a territory. There are about 7400 pairs in the UK.